Uses the hot splicing/vulcanizing process to chemically bond two ends of a rubber extrusion together. By creating an endless seal, the gasket is more impermeable to the elements. Monroe Seals can vulcanize extruded rubber into circles, squares, and a variety of other shapes. From simple spliced O-rings, vulcanized window gaskets and vulcanized frame gaskets, to spliced seals and vulcanized corners, we can manufacture the right endless gasket for your requirements. There are a number of vulcanized splice types. Round cord or irregular profiles may be vulcanized to endless gaskets. 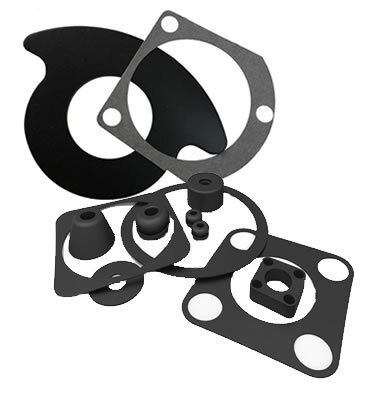 Applications such as window frame gaskets, door gaskets, filter housing gaskets and lid gaskets. The uses are as unlimited as your imagination will allow. See Vulcanized Splice Types for more information.